Holly and Bryan are joined by Bria Lavorgna to discuss E.K. Johnston's new book Queen's Shadow. 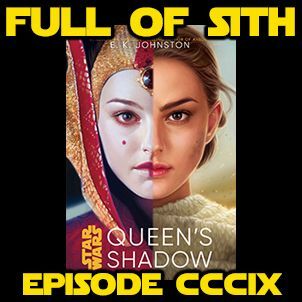 Queen's Shadow tells the tale of Padme Amidala's transition from queen to senator, as well as tales of her handmaidens, particularly Sabe. If you haven’t already, join our new Facebook group and join in the discussions with us and other listeners at – http://facebook.com/groups/FullofSith If you like the show, please leave us iTunes/Stitcher reviews and share us with your friends ... Más informaciones and family! We’d greatly appreciate it.